He justifies his statement by pointing out that staying home with the kids leaves mom earning a lower wage for the rest of her life. And he assumes that the only reason she would even consider staying home with her children rather than getting back to work is because she can’t find a good preschool. I’m not so much offended as I am infuriated at his statement because he is perpetuating the lie that staying home with children is of little value. The atmosphere of our culture tells us that children are a burden, thus doing all the mundane work of caring for them is kind of like a dishwasher’s job. Someone’s got to do it, but the most intelligent and gifted among us rise to greater things. But women need to know that their job of training and taking care of their child is the most important job in the world. No preschool teacher can replace the impact you are going to make on your child’s life. Let me tell you something. The first handful of years of your child’s life are foundational for cultivating the soil from which your child’s character grows. The time to begin teaching self-discipline, respect, diligence, generosity–all the tokens of a healthy economy–is from the very beginning of a child’s life. You will make a difference in America. And it will be measured by the adults that your children grow to be. So if you can, stay home with your kids. Be relieved from the pressure to “get a career, get a career, get a career.” Pouring your time, energy, and talents into your children is the most profitable, most worthwhile, most rewarding thing you can do with your time. No higher wage can hold a candle to the value of being with your children during the little years. Having mom available at home is what is good for children and good for the family. This entry was posted in parenting tips and tagged america, children, economy, obama, preschool, rhode island college, sahm, stay-at-home mom, toddlers. Bookmark the permalink. awww this makes me want to cry. thanks for serving your family and being an amazing example to me of a mom. I love love love watching you and sam parent via fb and insta….unfortunately!! but still I think you both are such great examples of young parents with WISE and beyond your years wisdom of how to raise children and do a GREAT job and ENJOY it at the same time! XO love Erin S.
Thanks, Erin. You are always so encouraging! I cannot wait to see the great mom you are going to be to that precious little baby of yours. This president has been WAY out of touch with the American people. The low and middle class are a science project to him. He certainly has been no friend to the Christian community (while claiming to be one himself), he views our values and dangerous. Very well put Kit! I love how well you articulated the truth and value of being a stay at home mom. 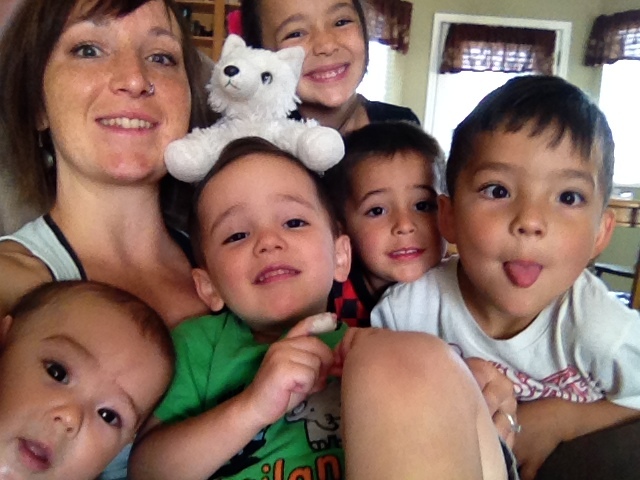 Being a mom is what everything in my life pre-kids was preparing me for…schooling, work etc. It was my ultimate goal and destination. Not because I was unqualified for other employment opportunities. But because the opportunity to connect with and help shape the life of my child is much more valuable than money, prestige and status. And the time goes so fast. I know not all are able to make this choice, but I feel blessed to be able to! Thanks for sharing!!! Thanks, Jenny! It’s almost as if saying that your “goal in life is to be a mom” gets the same response as, “My goal in life is to be a Wal-mart greeter!” It’s unfortunate isn’t it?